crapcom ruining megaman's image even more and i'm getting insane for lack of new mega man game to play since i finished all of them. 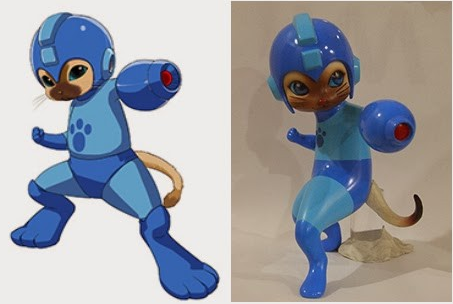 Wow, this figure should do well with cat lovers. I really don't care what anybody has to say about this. I think that figure looks adorable! I like how Capcom's 30th aniversary gets all their franchises gussied up in ugly pseudo-8-bit sprites in obvious homage to Megaman. Shows that they really do only see him and his iconic art style as an easy marketing ploy. "We almost had a helmet with cat ears,"